Earlier this year, a request was filed asking the U.S. Judicial Panel on Multidistrict Litigation (JPML) for centralized management of Lipitor cases, in order to reduce duplicative discovery, avoid conflicting rulings from different judges, and for the overall convenience of the parties, witnesses, and the courts. That request was denied as there was an insufficient number of cases that had been brought in order to justify the request. At that time, I said the motion was denied for now. Well, “for now” has passed and we are taking another swing. With approximately 62 Lipitor lawsuits pending in 21 different districts, involving a total of 131 plaintiffs, the Motion to Transfer has been filed again. The motion argues that the majority of the cases are in the same early procedural stage. When the prior request was shot down, there were only 24 cases having been filed. Lipitor, intended to help lower cholesterol and improve health, was first required by the FDA to provide new diabetes warnings for first time users in February of last year. Warnings indicated that they face an increased risk in change of blood glucose levels. Since that time, a growing number of women have brought product liability lawsuits against Pfizer after developing diabetes, alleging that at Pfizer should have known about the risk of type 2 diabetes for women. Plaintiffs are claiming that if they had been properly informed, they could have made a more informed decision as to whether or not they should take the medication. It has been suggested that thousands of federal cases will be filed in U.S. District Court nationwide. But for now, the fate of the requested MDL is expected to be argued in either December or January. My prediction is that we will have MDL in these cases by the end of the year. It makes too much sense to consolidate these cases. 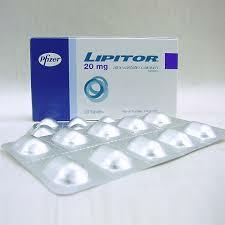 Our lawyers are reviewing claims that Lipitor may have caused diabetes. If you think you or someone you love may have diabetes as the result of having taking this drug, call one of our Lipitor lawyers at 800-553-8082. You can also get a free Internet consultation for your potential lawsuit.